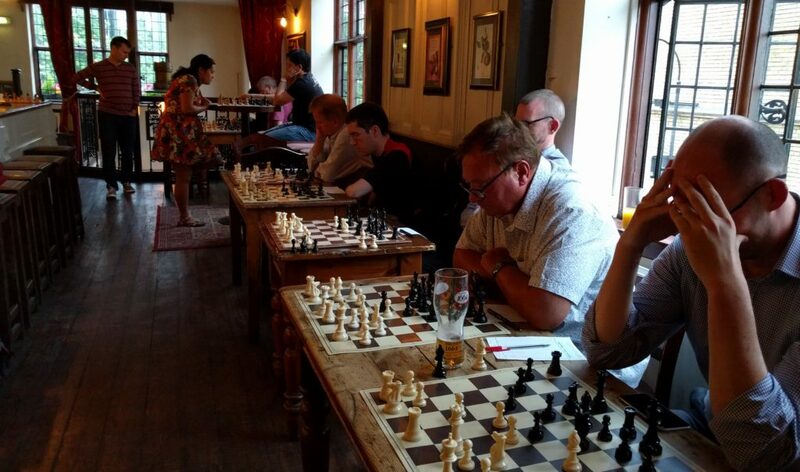 As regular readers will know, Hammersmith Chess Club had the enormous pleasure of taking on Women’s International Master Sue Maroroa in a Simultaneous display across 14 boards on Monday 25th July. It was a sultry evening in the Big Smoke and the atmosphere in the upstairs function room of The Albion pub was no different. What little ventilation was on offer didn’t really help, as we just about managed to squeeze in enough boards to accommodate everyone! Former Hammersmith player Sue had generously agreed to play us this Summer and it was an enthusiastic crowd that turned up, ranging from our old timers, recent new members, and the odd potential signing. Sue had hoped that the evening would be “quick and painless”. Whilst we could ensure an evening free of physical torment, with 14 boards it looked anything but rapid! Play commenced shortly after 7.30 and it quickly became evident that Sue would have a fight on her hands – not only was Hammersmith fielding a former Punjab Chess Champion in Amit Sharma, amongst other strong opposition, but the setup of the pub meant a long walk down to the far end of the bar with every circuit Sue completed – Hardly ideal given the heat & humidity! First blood went to Sue however, with a brisk ten-move victory over Shaun (someone had to be first!). Your correspondent followed soon after, conceding after 26 moves. Sue gradually clocked up the victories and whilst the war was clearly being won by the WIM, there remained a number of intriguing skirmishes that would end with victory for Hammersmith. Amit eventually ended up victorious from a deep strategic game that had Sue thinking hard all evening. John Wooley went two pawns up in a commanding position leaving Sue with little option but to concede. Jay Hinolan wound up with doubled pawns in a tight endgame, but somehow managed to get one to an imminent Queening position, forcing Sue to resign. Chris Moore sealed a draw by taking out Sue’s last pawns. He came agonisingly close to forcing the game but there just wasn’t enough material to get his last pawn to a Queening square. Bad luck! Club Secretary Mike Mackenzie managed to hold on with even material throughout a long game which looked to be heading for a draw, however Sue was able to push forward and claim victory. The evening finished with Sue notching up 10 wins, 1 drawn game, and conceding 3. 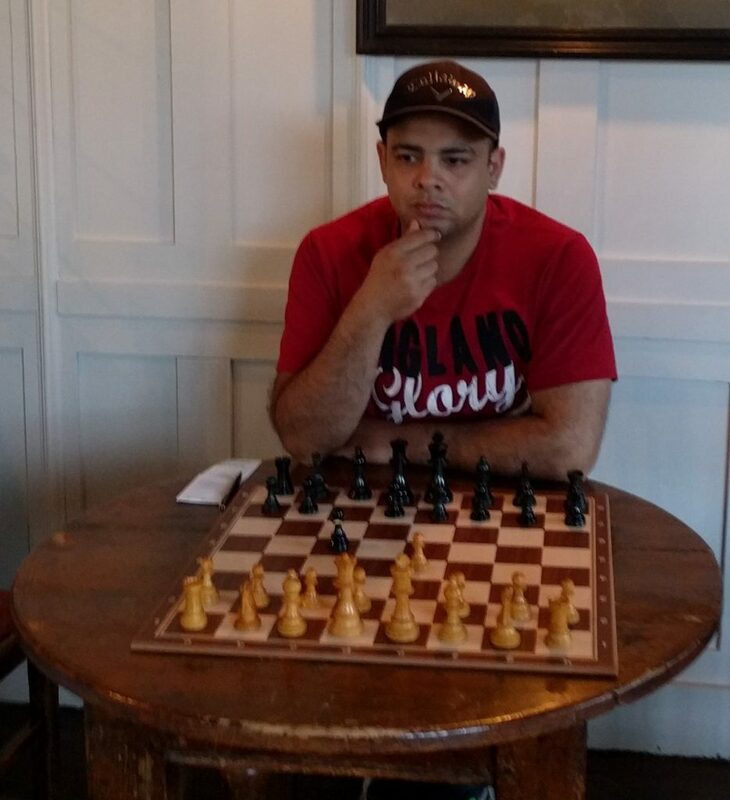 Congratulations go to those players who obtained a result – some terrific chess was played. Thanks also to everyone who turned out for the event, it was great to see so many faces. 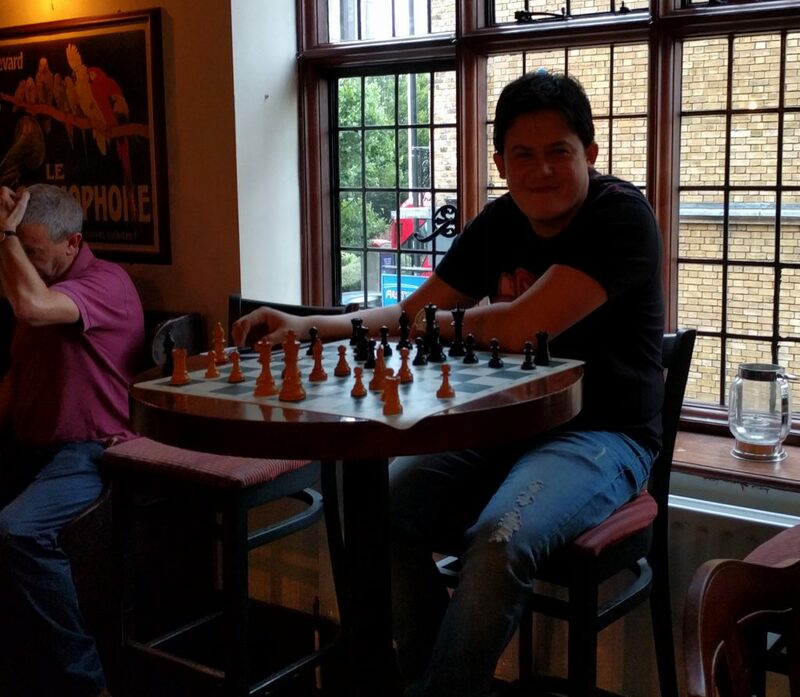 Special thanks to Sue for donating her time and energy on a very warm evening in the capital – Hammersmith Chess Club salutes you, and we hope it wasn’t too painful! 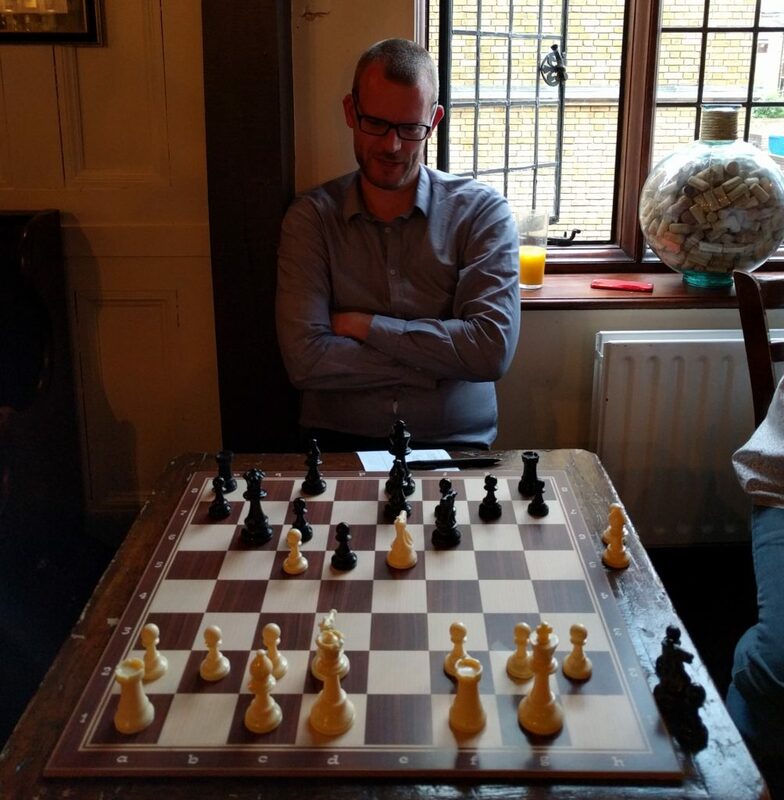 For more photos of the evening please check out our Facebook Album, and don’t forget to check out Battersea Chess Club’s website if you would like to play in the Simul they are organising against Simon William, aka the Ginger GM!